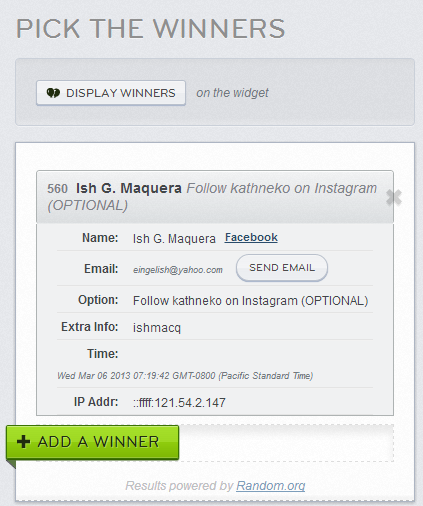 Congratulations on Winning Dear Kitty Kittie Kath's Summer Giveaway! Congratulations dear and thank you for joining. I'll be sending my congratulatory letter in a few so please check your mail asap. Please respond within 48 hours or a new winner will be picked. For those who didn't win, ULINX Shimmer Collection Giveaway is still up. Try your luck, you can boot a $75 worth of bracelet from the ULINX Shimmer Collection.